Still life photography. Capturing static objects to convey a story and embody memories through inanimate subject matter. 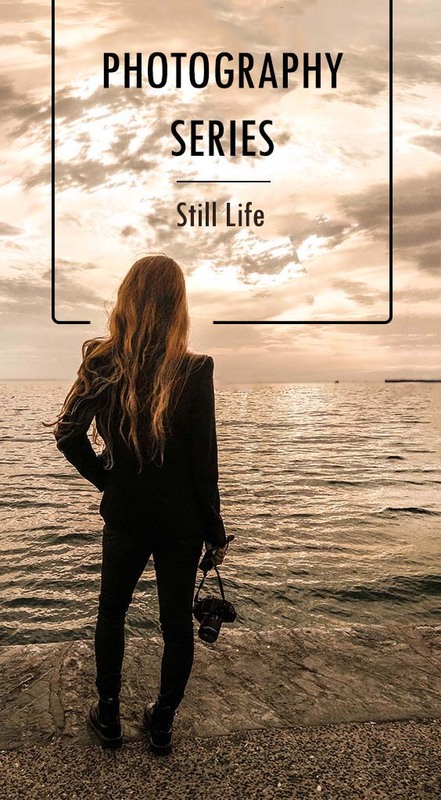 Still life photography is a great place to start especially for those who have no prior experience to photography as your subject is still and remaining untired and available for you to experiment as your heart desires. Welcome to the final part of Fashion Potluck’s Photography series! On the first part we covered all the technical aspects of a DSLR camera, shooting modes and exposure, so that you can have full control of its potentials. On the second part we talked about composition and how you can bend a few rules while keeping others to find your personal style and improve your artistic vision, while on the third one we mastered the art of shooting stunning portraits. On the previous part we learned how to shoot gorgeous landscapes and find beauty everywhere! With the rise of social media we all took an interest in mastering still life photography because let’s face it, brunch is pointless unless you take an artful picture of your avo-toast #vegan and your shopping sprees seem incomplete without a well thought flatlay #shoptillyoudrop. Here are a few handy tips to take into consideration when you are photographing still life. It could be anything and everything as long as it inspires you. Think of a backstory and try to figure out a way to tell that story through an image. It could be a single item or more. Quirky always works to your advantage. Some photographers claim that when there’s sentimental value to an item the image turns out to be striking. I think a mixture of great understanding of the techniques combined with an item that means something is probably the way to go! Keep in mind that the backdrop is as important as your subject itself. Keep it simple as you don’t want it to steal the spotlight but you have to carefully choose your background every time. If you are really serious about your photography, gather a small collection of different materials that you can use as backdrops, such as fabric, cardboard, paper, wood or marble panels. Textured elements looks great on a background and they can make your subject pop! Our old buddy makes another guest star appearance. We talked about depth of field in every post of the series as it always plays a key role whatever the area of your photography is. When it comes to shooting still life a blurred background softens the frame and adds depth to the picture. That would work well with food photography. When you are shooting a flatlay you’d want the whole image to be completely sharp so take your aperture numbers into consideration. The pillar behind every photograph that makes you go “Wow”. Natural light is great for still photography so use your window and a thin, almost sheer curtain to filter the light and make it softer. When the occasion calls for another source of light experiment with lamps and a flashlight. Be aware that different sources of light produce different colours so warm tones and cool tones will be enhanced accordingly. This is the awesome part where we get down and dirty. Get on the floor, climb on a chair, think outside the box and look at your subject from various different angles. Pick a few items and try photographing them from different angles. Get really close to capture details and them move further away and take another shot. Keep all your photographs and come back to study them later on. See how far you’ve come and how your skills developed with time and practice! I sincerely hope you’ve all enjoyed these photography series and that you are inspired to take your camera and start capturing moments! Shoot them, Frame them, Hung them on the wall! Sam L : Fantastic tips! Will take into account the lighting/ depth of field as my mobile device works well in this area.. Might not be the same quality but I will at least get a stunning enough photograph. Chelf C : Absolutely! You can take amazing photos with your phone! It's all about composition!